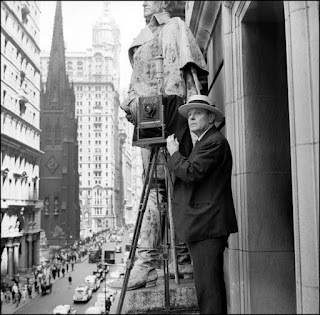 This blog is long overdue in profiling Wurts Bros, the prolific photography studio that left behind an indelible record of Tudor City in the '30s and '40s. One of the first studios to specialize in architectural photography, Wurts is founded in 1894 by brothers Norman (the photographer) and Lionel (company manager). Norman uses a large-format view camera and glass plate negatives, which render sharp, detailed images. The brothers quickly establish a loyal clientele of architects, developers and construction companies. Wurts Bros remains in business until 1979. Today, the Museum of the City of New York is home to their archive of over 45,000 NYC prints and negatives. See them here. 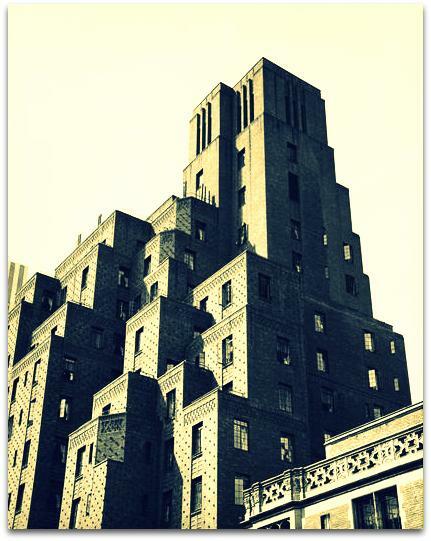 Below, a selection of choice Tudor City images made by Norman Wurts. 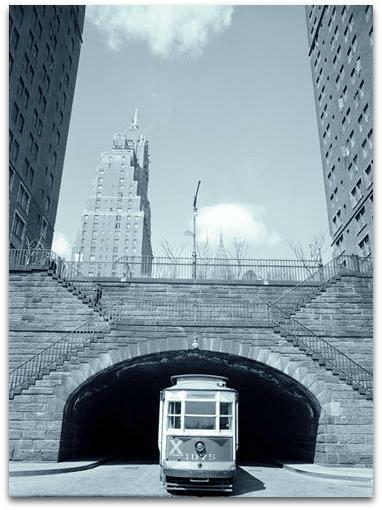 Westerly view of a streetcar entering the 42nd Street tunnel, 1942. Aerial shot of the South Park, 1942. 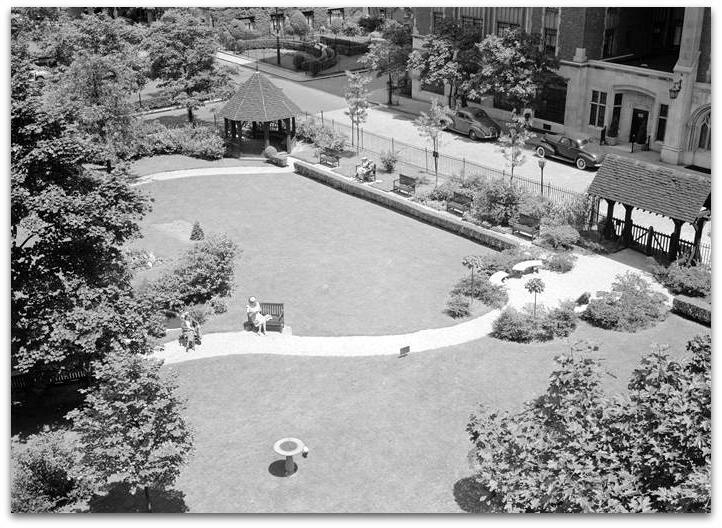 Lich gate entrance, upper right corner. 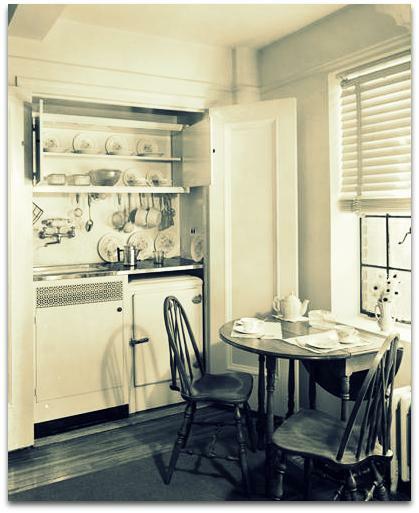 Serving pantry in a one-room apartment, 1941. 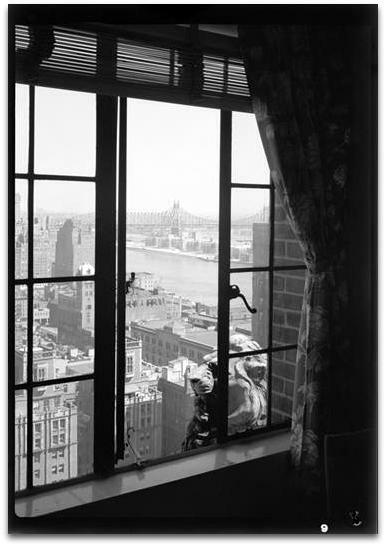 Northeast view from a Woodstock window, 1941. Our favorite terra cotta figure, Gary the lion, photobombs the picture just above the windowsill, bottom center. 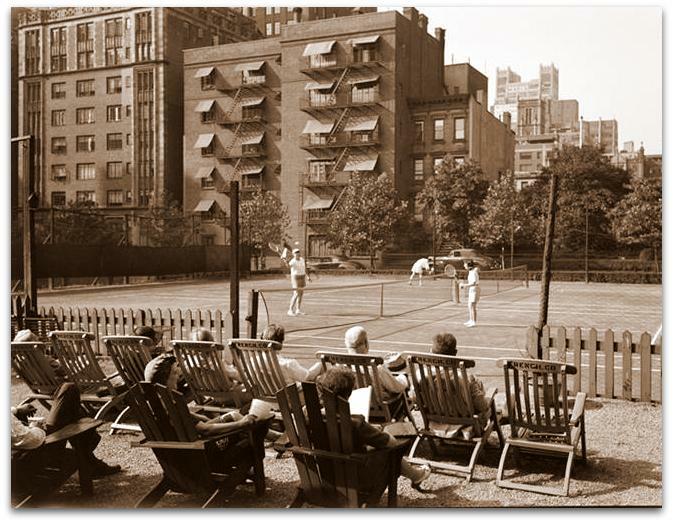 Tudor City's tennis courts, in a view looking north toward 41st Street, 1943. Essex House and the Prospect Hill Apartments in the background.